While focusing on our own apps, usually developed in a close partnership with other companies, we also help others make their app ideas come true. 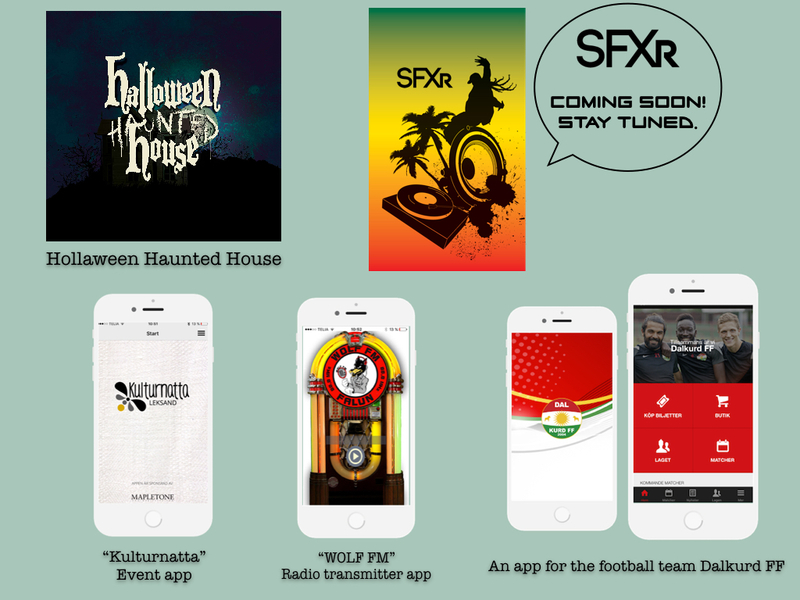 We develop native apps for iOS and Android for business, events, radio channels, musical tools etc. We know a lot about streaming, video, music, bluetooth technology, location services and database interactions. Our design goals are: stylish, smart and innovative and we do everything in our power to make our apps feel magical, as the advanced technology is camouflaged in graphic design. We want to make customers lives and work easier by giving them a product that helps them focus on what’s important to them.